Since 1983, Samaritan’s Purse has responded to a variety of disasters, including tornadoes, hurricanes, wildfires, and floods, across more than half of the states. 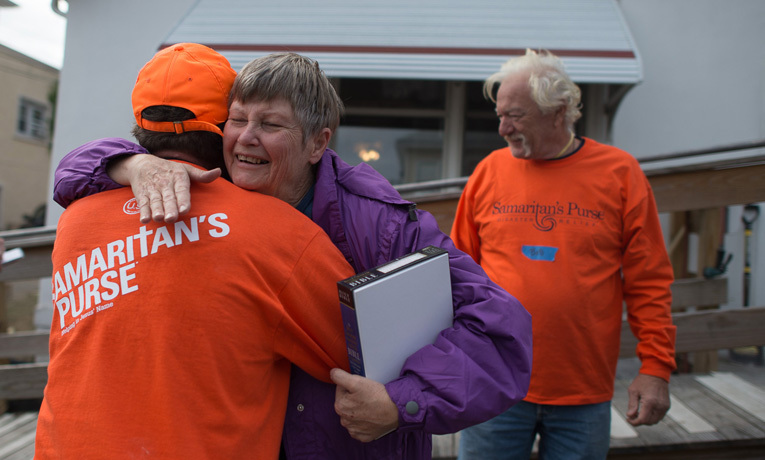 While focusing on the poor, elderly, and uninsured, Samaritan’s Purse works to meet the immediate needs of the homeowners by getting them back into their homes. We partner with churches in the communities where we respond to disasters, working together to share the love of Jesus Christ with people facing grief and uncertainty. The church acts as a home base by housing volunteers, storing equipment, and sharing information and insight about the community with Samaritan’s Purse staff. We depend on volunteers to do much of the work and to minister to people as they help. That’s why we’re looking for committed Christians with varied talents and experience. Construction skills are useful but not necessary. You can sign up to volunteer at our disaster response website.